Hope this email reached you at an excellent time. IBM Malaysia is looking for people with Japanese language skills for various Finance and Accounting related openings and we are wondering if any of your members would be interested to apply. Please check the email below for the details of the positions. This is an excellent opportunity if you are after international work experience in a prestigious company. Background and experience in Finance and Accounting is not required and training will be provided to those who will qualify. Basic requirement is the candidate should have interest and passion with regard to learning and doing Finance and Accounting related work, must be computer literate and have knowledge in MS Excel, and should also have good business sense/knowledge. We hope that you can forward or post this on your website, Facebook group, and other social networking sites or channels. Interested individuals can apply online. Thanks! We are looking at hiring a lot of Japanese Multilingual Professionals for various Finance and Accounting Positions this year. Having said that we would like to start sourcing for candidates for these positions as early as now. The ideal candidate must be proficient in speaking, reading, and writing using the Japanese Language. We prefer those who are native speakers or those with at least JLPT 2 certification in the said language. Accounting and Finance background and experience is not required because training will be provided to those who will be hired without or have little knowledge/expertise.What is important is that the candidate must have the said language skill, must have aptitude for numbers, and must have the drive and interest in pursuing the said career path. · Analyze contract values, forecast, budget, actual, and business dynamics. · Interact with the business units and project executives and finance controllers on the forecast, actual, budget and business metrics. · Develop forecast and budget variance analysis and provide business assessments in an ongoing basis. Design, prepare, and present detailed analysis of business issues and recommend solutions to senior management. 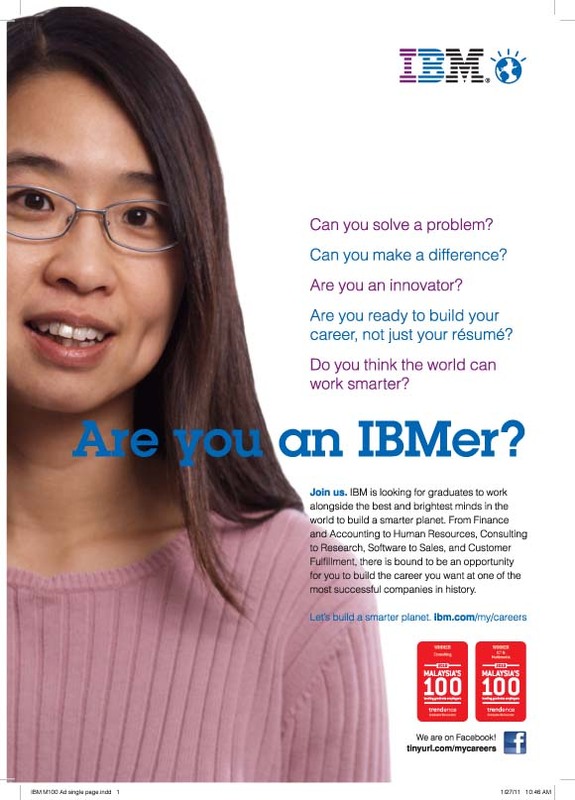 For more information about IBM Malaysia please check our website at http://www.ibm.com/my/careers. You can also check and join our Facebook Recruitment Group Page at http://tinyurl.com/mycareers.